A beautiful, sunny day and what better way to start off the month of May then at Sammy Adams’ remarkable concert. The proud Boston native, the one and only Sammy Adams has established himself as a rapping genius and an absolute sensation ever since he set foot in the entertainment industry. With hit songs like “LA Story”, “All Night Longer”, “Only One”, “Stop The Music”, “Waste” and many, many more – Sammy Adams’ music is not just music, but it is something that truly touches the souls of Sammy Adams fans and listeners worldwide. The “Coast To Coast” singer is making his way all around the nation and made his stop at The Paramount, NY on May 1, 2015 – giving the hundreds of people who went a concert that they will never forget. The incredible Sammy Adams has a stage presence like no other and can give one of the greatest live performances you can think of. Having fans dancing from the start to the end of the concert, Sammy Adams is one musician who is absolutely phenomenal performing live. Sammy Adams introduced his song “Waste” as a song that he made for his fans. He stated that one of the best parts about being a musician is having fans who can love and enjoy his work, and in the meantime, being able to give back to the fans the music that they all love listening to. One remarkable thing about Sammy Adams is how much he engages with his fans. In addition to giving one stellar performance, Sammy Adams continued to talk about how he reads everyone’s tweets and messages on Twitter and Instagram. He even expressed how much it means to him that people have told him that he has changed their lives. It’s clear to see Sammy Adams’ 150% passion in what he does and the stage is truly a second home for this incredibly talented rapper. With confetti to add onto the magnificent grand finale of “All Night Longer”, Sammy Adams’ left The Paramount, NY in absolute awe. 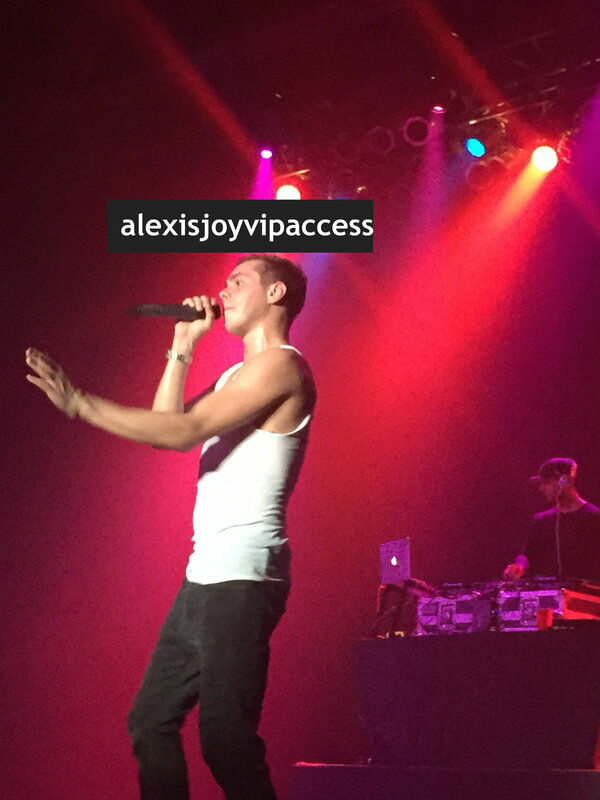 I, Alexisjoyvipaccess had a brilliant time attending Sammy Adams’ terrific concert at The Paramount, NY and wanted to share with all of YOU some VIPAccessEXCLUSIVE photos I took at the concert. Take a look at them below and comment below and tell me or tweet me at @alexisjoyvipacc, what is YOUR favorite song by Sammy Adams? Follow Sammy Adams on Twitter: @SammyAdams to see when he will be performing at a city near you! Previous VIPAccessEXCLUSIVE: “100 Things To Do Before High School” Star Chazz Nittolo Interview With Alexisjoyvipaccess! Next Article: Nickelodeon Announces The Season 2 Pickup Of “Make It Pop”! Congrats To The Cast And Crew!